The copy machine is a key player; in not the proverbial heart, of office operations, becoming an self-sufficient employee that never rests. You may not think twice about the copier until it malfunctions or runs out of toner. Suddenly, an entire day’s worth of work is delayed. With Sunrise Office Systems on your side, your office’s copy machine will be working in no time. Our expertise replacing laser toner cartridges and making key adjustments gets production going with ease. Look for our expert services with a reasonable cost for both home and office. Your home printing needs are just as critical as a business’s requirements; especially as telecommuniting and remote schedules gain popularity. We will come to you. We service any Brother, Canon, HP or Xerox machine. We’re glad to work on one machine at a time or a fleet of copiers requiring toner. Our services retain their quality regardless of copier quantities. The moment we take on your printer’s problem, cleanliness is the number one priority. We remove the old laser toner cartridge and get to work on the interior. Although cartridges are tightly sealed, they care prone to ink leaks inside the copier. It is these small leakages that cause more problems with your printer down the road. 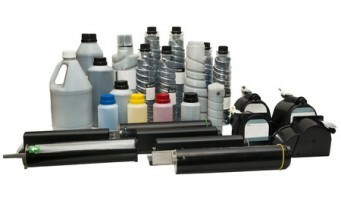 Our professionals clean out every speck of ink before replacing a fresh cartridge. We may even uncover some repair issues that require attention. Other copy machine repair techs may try to skimp on quality to pad company profits, but Sunrise Office Systems believes in manufacturer-approved replacement equipment. You’ll never see an off-brand cartridge replaced in your machines. All our replacement parts come direct from the factory manufacturer. We make no exceptions. Quality and expert labor combine for a perfect service call every time. We do not expect you to haul your monstrous, heavy printer to our office for service. Instead, we’ll head out to your location and bring our tools necessary for repair. In rare instances, we may need to take the machine for further inspection. We are responsible for the safe transportation of your copy machine or printer, taking the stress out of a repair that could be difficult with other companies. If you have consistent printing needs, consider a service plan with Sunrise Office Systems. A low monthly payment can help you cover visits and basic repairs. Your service plan will include parts and labor. For all your laser toner cartridge needs, contact Sunrise Office Systems at 702-435-9600. You can also fill out our online form to give us an idea of your needs before we discuss details with you. Our success is your efficient office or home working every day.